Print solutions provider, Kodak has launched a new Flexo Packaging Technology Center in Shanghai, China. The center is intended to allow customers and others from the print industry to see and discuss demonstrations of the Kodak Flexcel NX System or to have plates made for printing trials. Kodak said that the launch of new technology center represents its commitment to flexographic print technology for package printing in China and throughout the Asia Pacific Region. Additionally, the center allows sharing of Kodak’s vision for flexographic printing in packaging with trade shops, printers, brand owners and industry partners across the Asia-Pacific region. Kodak said that the printers with an interest in flexo printing solutions for packaging can know the technical and cost advantages of its technology at the center. Available in four different configurations, the Kodak Flexcel NX System is designed to allow consistent, high quality print with maximum on-press efficiency for flexo print applications. 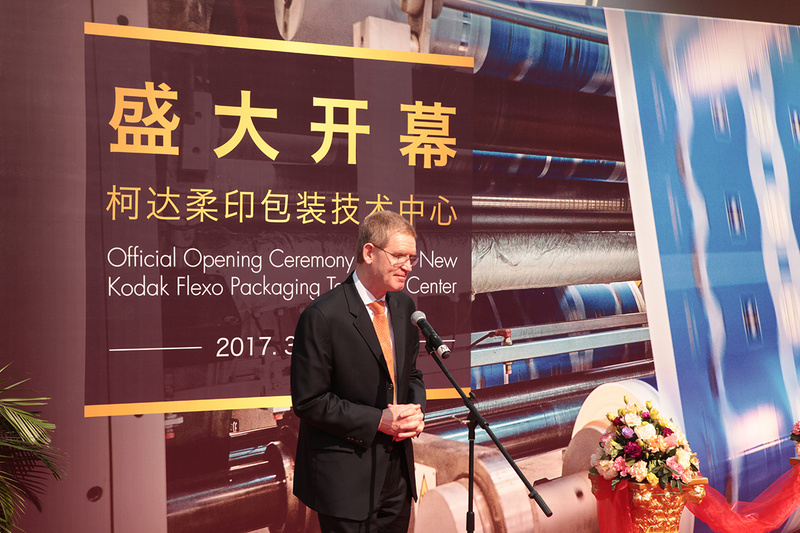 Image: Kodak official during the launch of flexo packaging technology center in China. Photo: courtesy of Eastman Kodak Company.